The forward scored the only goal of the game as the newcomers continued their fine start to the season. 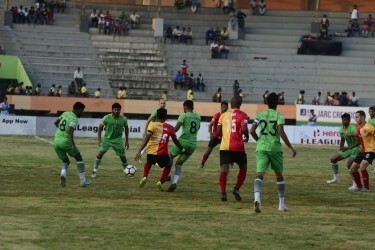 What could be termed as the battle-of-nerves between two Northeastern young coaches, finally saw Gift Raikhan, the Manipuri one edging past his counterpart in the second Northeastern Derby of the Hero I-League 2017-18 season, thanks to the solitary strike by Singham Subash Singh seven minutes to the end of the regulation time. After the resumption, Nedo Turkovic made his debut for the Manipuri outfit, having replaced Israilov Akhlidin. Ex-Mariner Singam Subhash Singh of NEROCA FC came very close to breaching the Lajong defence but eventually, it was averted by the gritty Lajong defence. Four Minutes later, Singam Subash Singh of NEROCA headed a brilliant cross from Pritam Singh home to leave Lajong Goalie completely stranded. 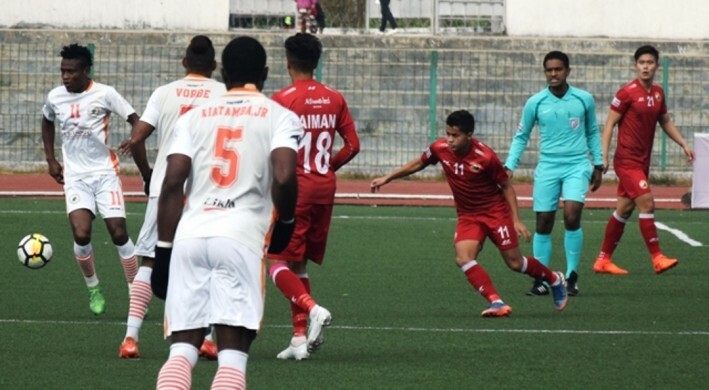 The poacher was left completely unmarked by the Lajong defenders and the Neroca FC striker encashed on that exquisitely to muster all three points from Shillong.